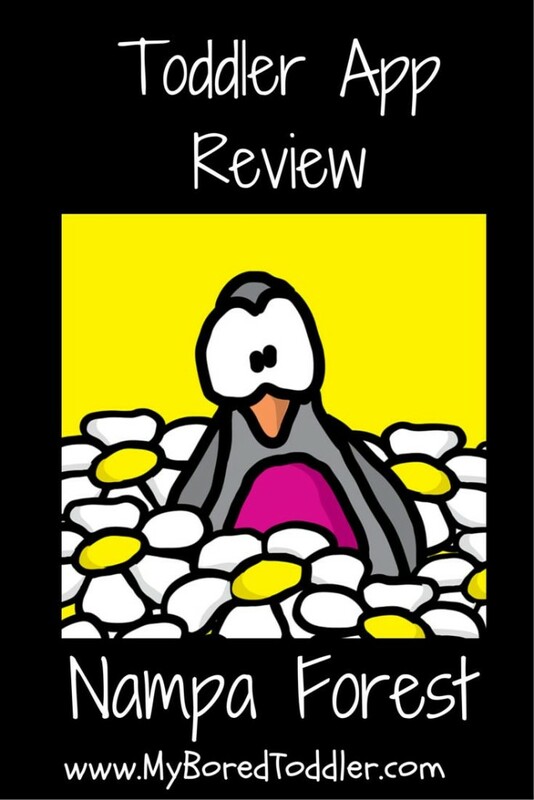 This week I have had the pleasure of reviewing a very cute new app called Nampa Forest. It’s a little bit quirky, a lot of fun, and a great way to keep the little ones entertained. Almost immediately after debuting, the app reached the number 1 spot in the Finland App store, and number 2 in the children’s apps in Sweden. After playing with this app (and letting my kids play too of course!) I can see why it has been so popular. Nampa Forest has a Nordic theme, and is based around a picturesque woodland. 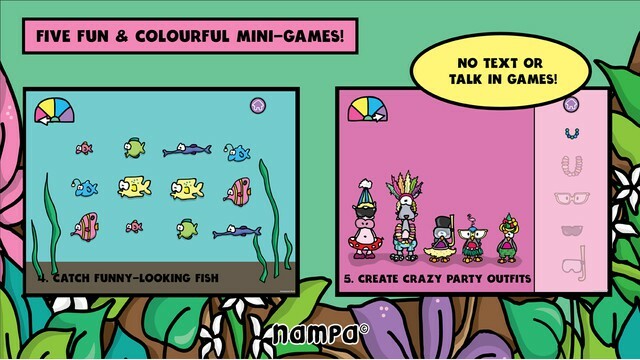 The app consists of five mini games, each one perfect for toddlers and preschoolers. There are bees that blow up balloons, funny looking fish that need to be caught, crazy outfits to dress up the characters in and lots of jumping and diving into water. The music is funky and fun (and most importantly – not annoying!). The short games are perfect for the (no so great) toddler attention span! I love the illustrations in this app, and they are a refreshing change from some of the more traditional children’s apps. The mini game concept works great, and my toddlers have had a lot of fun playing these. The app is great for those moments when you need to fill 5 or 10 minutes with a toddler (for us this week it was a life saver when waiting for a doctor’s appointment). It is an easy to use app, great for the younger toddlers too. 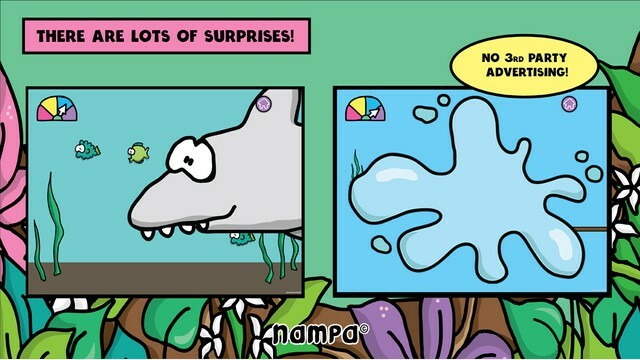 One of the unique features of Nampa Forest is that it includes no text or speech, allowing the app to be enjoyed worldwide and removing language as a communication barrier. There is also no scoring in the app, with disco dancing animals being the reward of choice (and we’re definitely not complaining about that!). I think that this is a really lovely app for toddlers, and one that they will have a lot of fun with. My toddlers certainly give it the tick of approval – in fact they were fighting over who got to play it! The app retails for US$1.99 and is currently available for iPhone and iPad. There are no in app purchases or advertisements. 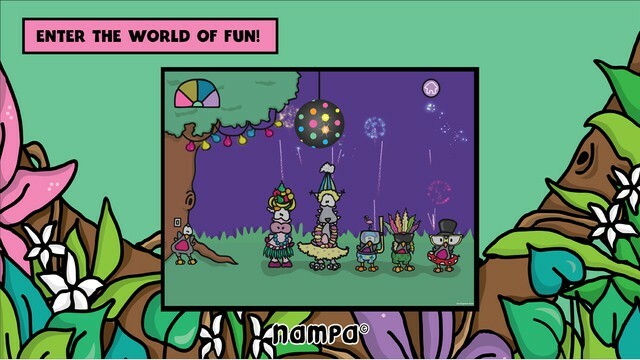 Nampa Tivoli is the latest app from the lovely people at Nampa and you can read our review here. You can also visit our Top 20 Best Apps for Toddlers list. Thanks for the recommendation! I love discovering new apps for the kiddos.